This sign alerts passerby that, yes, someone put these vegetables here on purpose. In April, the corner of Hires Avenue and New Market Street was just a vacant demolition site sitting sad and barren in front of the City Clerk Office in Salem City. Today, a border of wooden shipping palettes—stacked, hammered, and painted into 4 foot high raised beds of soil—surround a tidy oasis of greenery called the Salem City Community Garden. Now, the gardeners harvest long hots, roma and regular tomatoes, eggplant, okra, and bell peppers that they have yet to find homes for. Charitable purposes like Meals on Wheels and educational programs have been considered, but the group is still pondering, wanting to ensure that the garden’s effects reach as far into the community as possible. Britney Lillya and Krystal Hall working on some Mexican Sunflowers, which are, at the very least, visually delicious. I can appreciate the extent to which the Salem Garden blurs the rural and the urban: the garden is a piece of the agrarian in the middle of “Salem City,” which is itself a semi-urban island in a sea of farmland. Surprisingly, as fellow founding gardener Ken Blades explained, the reality of Salem is not one of a town in which farmland and city always blend graciously. 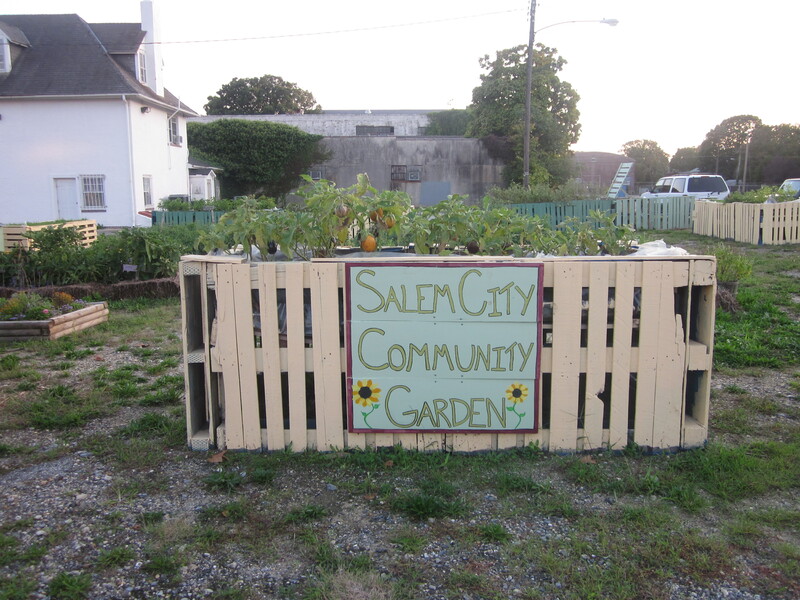 Rather, a cultural divide exists between some of Salem’s city-dwelling and farm-dwelling residents that gives some incentive to critique the community garden project. 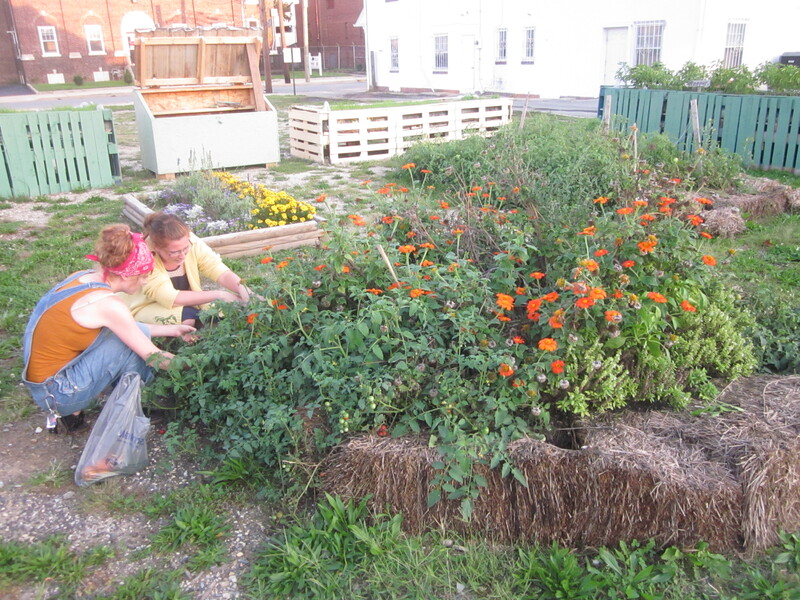 Of course, every well-meaning project always has its senseless detractors, but what about residents who feel a little too welcome to the garden’s produce? Blades completes Hall’s thought for both of them. “I’m over it,” he says. A last resort, of course, is to donate it to the causes of this vegetably destitute blogger, who is now one bag full of eggplants, tomatoes, and peppers less hungry. Posted in Intelligent Initiatives and tagged community, garden, guerrilla gardening, hires avenue, new market street, salem. Bookmark the permalink.